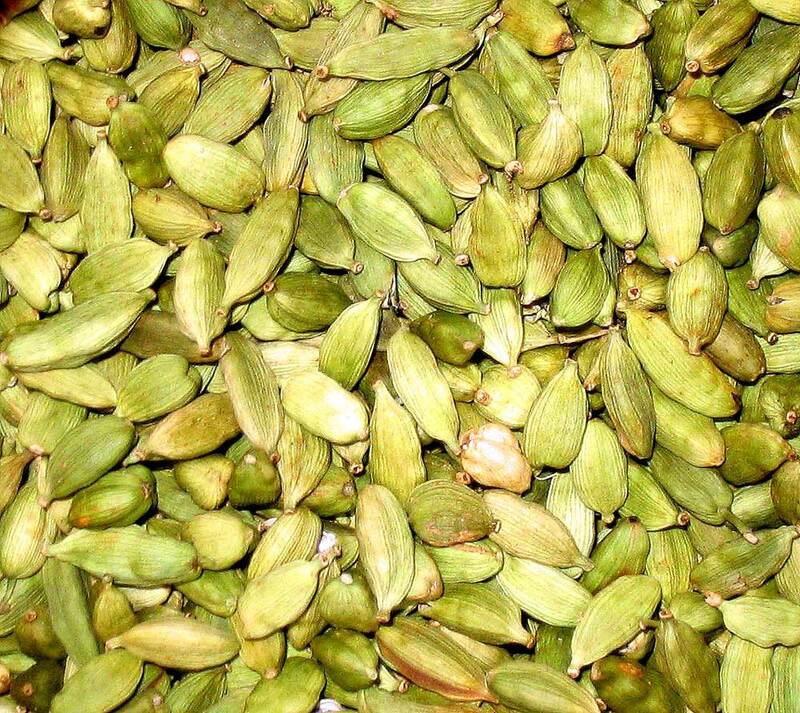 Cardamom is the world’s third most expensive spice (after saffron and vanilla). Many people are unaware that, although the plant is native to native to the Himalayas, South Asia, and Southeast Asia, today it is Guatemala that produces most of the world’s supply (about twice as much as the second leading producer, India). The plant was first cultivated in Guatemala in 1914 by Oscar Majus Kloeffer, a German coffee grower. Cardamom resembles an orchid on steroids. It can reach a height of twenty feet. Cultivation is labor intensive, which is part of the reason it is grown in Guatemala, where cheap labor is abundant. Individual pods are picked by hand, and they must be picked while still slightly green. The plants bloom from September through March, and harvesters revisit the same plants on about a two-week interval. Then the pods are dried and either split so that the seeds may be extracted or sold as whole pods, which is said to preserve flavor. 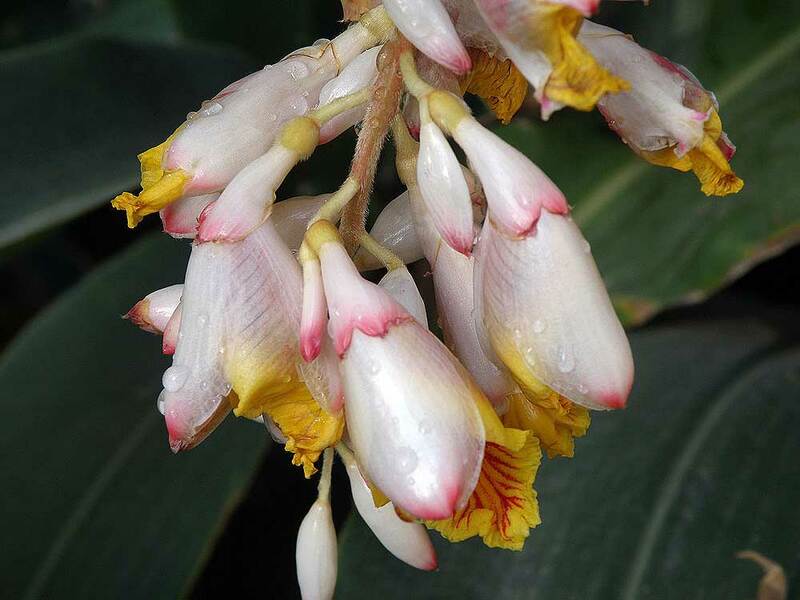 Cardamom flowers. Image from Wikimedia commons. According to Amy Stewart in The Drunken Botanist, Japanese scientists have shown that linalool and linalyl, high levels of which are found in cardamom, are effective in reducing stress. Cardamom is one of the ingredients in Old Tom’s Aromatic Bitters. This video from a few years ago shows how cardamom is grown in Guatemala. It was produced by Frontier Coop (based, I believe, in Iowa), in cooperation with the Alianza growers coop in central Guatemala.